Last week, Chris' plans suddenly changed; rather than flying to Germany for work, he had to drive. What that meant for me was a last-minute road trip with my favorite travel buddy. I packed way too many clothes and jumped into the car for a 12 hour road trip to Weimar, Germany. The trip was pretty uneventful (except for the German Autobahn - but I will leave that for another blog) and we passed the time listening to podcasts and singing at the top of our lungs. When planning a road trip through Europe, it might be wise to take out a small bank loan to cover fuel cost! I was shocked when I saw the numbers climb, and we drive an economy car that is supposed to save us money! We paid 63 Euro ($90) at this gas station, and we didn't even fill up our tank! I cannot imagine fueling an Audi or a Mercedes, but loads of people drive luxury cars here, so somehow they afford it. I will never complain about gas prices in the states again. The EU avoids toll roads by making everyone buy these silly "vignettes" for each country. It is such a hassle because you have to pull over at a gas station before each boarder, pay $15, and arrange the sticker in the correct location on your windshield. Apparently, if you get pulled over without the correct vignette, you'll receive a massive ticket. 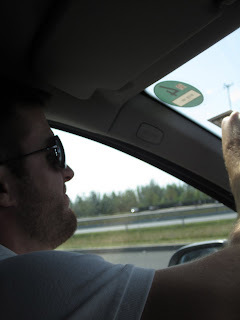 We drove through Hungary and Austria and half of Germany, so our windshield looked like an art project once we finally arrived in Weimar. Our hotel was beautiful and in the heart of Weimar. I really did not know anything about Weimar before this trip, but I immediately found the information center, purchased a travel guide, and orientated myself. 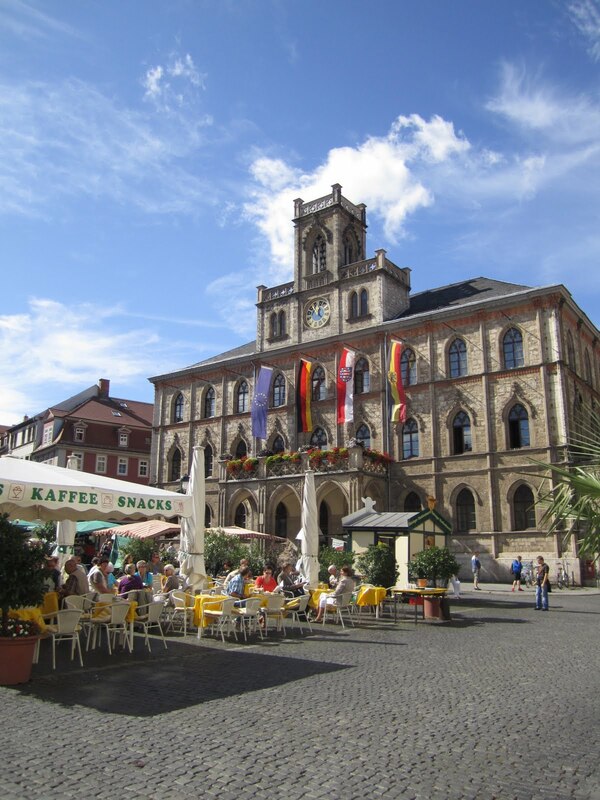 Weimar is known as "The European Cultural Centre and Cradle of German Classicism." I learned that Johann Sebastian Bach had served at the court organist and musician in the early 18th century, and several famous literary artists also called the city home. One afternoon I walked three miles to Belvedere Palace. I was interested in seeing the palace because Grand Duke Carl Friedrich who built this as a hunting "lodge," had married the Russian tsar's daughter, Maria Pavlovna. He even had a "Russian Garden" created for Maria so that she would feel at home when strolling the grounds. A beautiful home with a love story - of course I had to see it! The German National Theater - or Theaterplatz - can be found in the center of the city. The monument in front of the building depicts Goethe and a second great writer named Friedrich von Schiller. 1851. The park on the River Ilm is the jewel of this city, and it holds so many local treasures. This is the Roman House that sits in the middle of the park. There is a cave system that can be accessed through this house and it was used as an air raid shelter during the war. Johann Wolfgang von Goethe - writer, statesman and scientist - called Weimar home. He is an important historical figure, and there are all sorts of monuments, universities, and streets named after him. 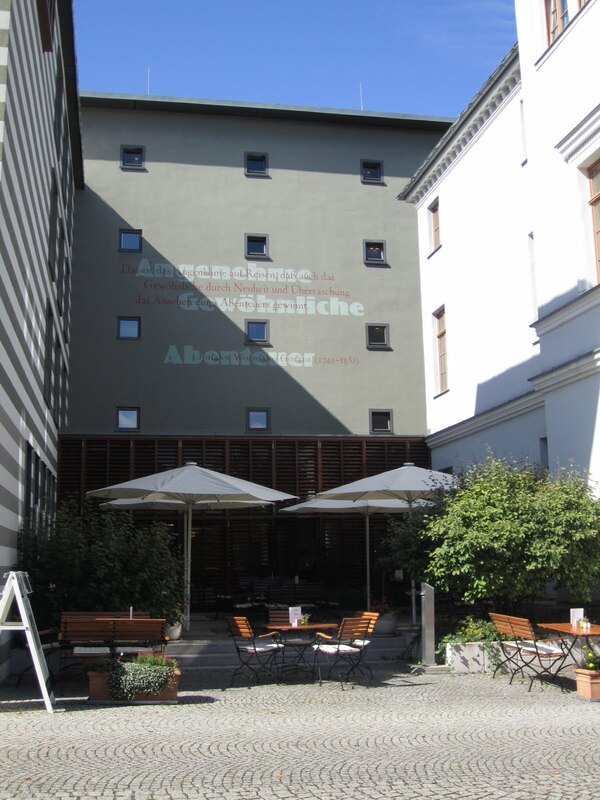 This is Goethe's garden home which can be found in the Park on the River Ilm. The weather was perfect for exploring. This building is town hall and I was happy to find pleasant outdoor seating. The only thing I could not find in Weimar was a cafe with free Wifi. Serbia has spoiled me into believing that internet access should be free everywhere I go! After three days in Weimar, Chris and I jumped back into our economy car, braved the autobahn and headed towards Prague for a quick vacation. I don't mind exploring alone, but I would much rather have my travel buddy at my side. I was so excited to type "Prague" into our trusty Navigon ipad application. More to come on Prague . . . tomorrow! Grape Picking Days. . .
New Friends and Lots of Food. It's the Little Things . . .
Is Easy Jet Really that Easy? ?